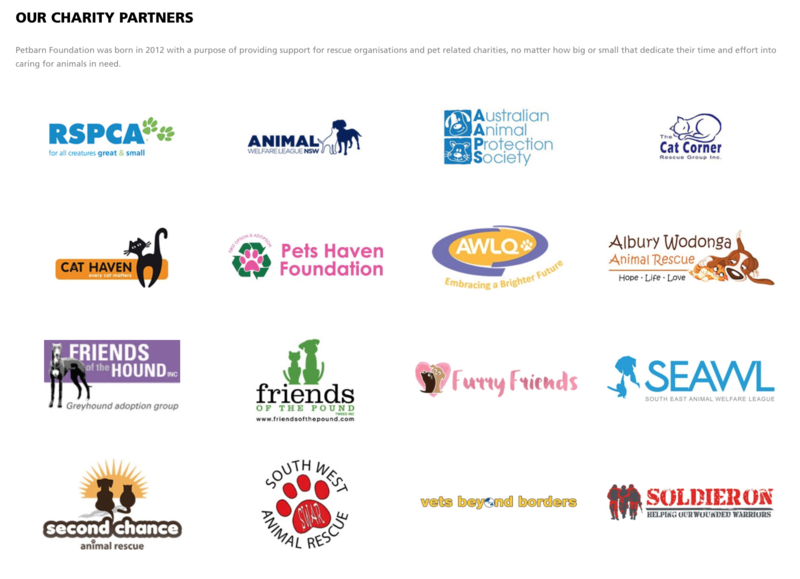 "The merged group will create one of Australia’s largest pet care companies, with a total of 224 stores and clinics across Australia and New Zealand." Petbarn does not sell dogs and cats in store. They started building in-store adoption facilities and have been recruiting rescues to fill them. With their current Giving Tree campaign being the most successful to date with nearly $900,000 being raised for groups and shelters during the 2017 Christmas campaign. 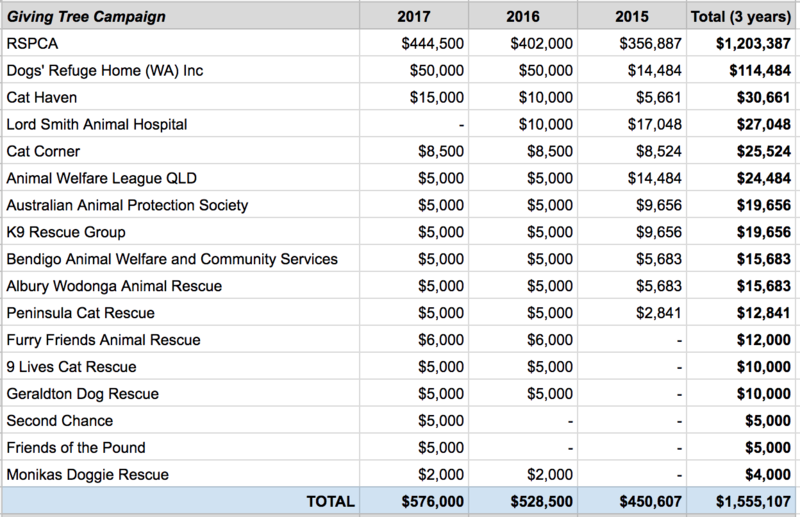 Rescue groups being able to access the funds they need to keep rescuing is vital. At the same time there is a lot of value in the work of rescue groups for brand awareness and goodwill for the corporates who form these partnerships. It can and should be a win/win situation. 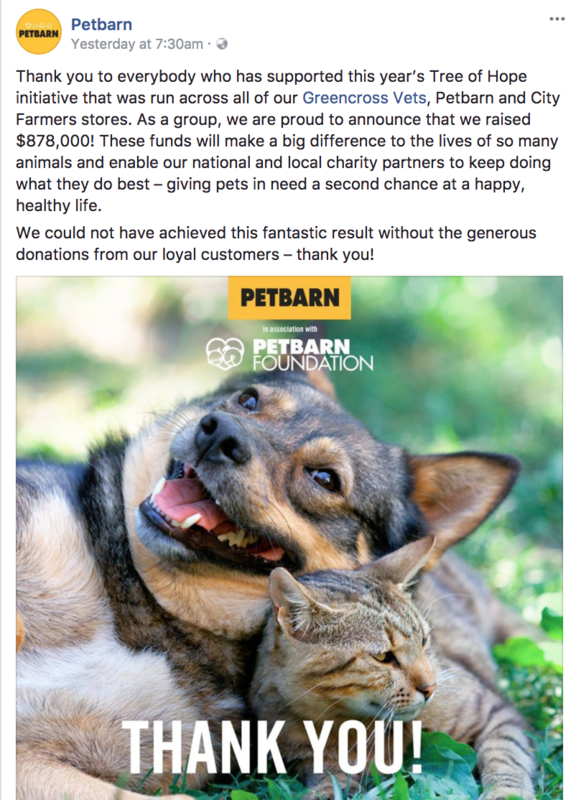 If you are running an in-store program for a corporate, and are still being compensated in 'awareness' and sporadic food donations, then maybe you need to be using this Petbarn program as a bargaining chip and start negotiating a better deal for your pets. *To be fair, this is not the program for everyone. Petbarn care for the pets, do the interviews, and take the adoption fees, which puts them into the adoption process in a more intensive way than many groups will be comfortable with. But for your most straightforward adoptions, high-volume or kitten adoptions, this might be a program checking out.